In 1610, a full ten years before the pilgrims put their tentative boots on Plymouth Rock, Samuel de Champlain sent a young man, who had arrived with in Quebec just two years before, to live among the Huron peoples. He was tasked with learning their language. Learn it he did—language and much more. He lived and traveled among the Huron. By the time the aforesaid Pilgrims began to recover from their first horrible winter, still clinging to the rocky shore, he had traveled as far south as the Chesapeake Bay and as far north and west as Lake Superior. likely that he did turn on Champlain, throwing his lot with Kirke who perpetrated the 1629 overthrow of Champlain when Quebec fell briefly into English hands. Champlain considered him a traitor. 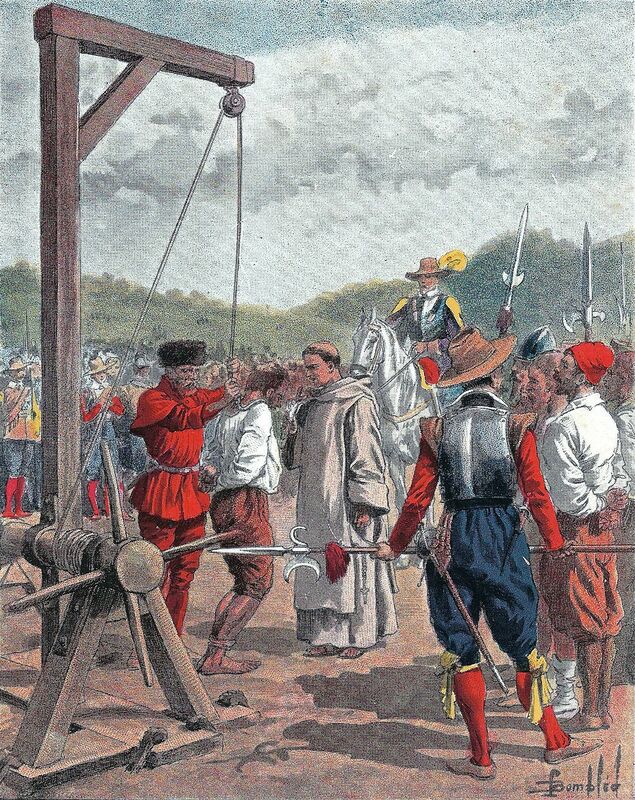 Based on the records of the Jesuits and Champlain, the common belief has been that he lived primarily among the Huron, having become more “savage” than French. Recent evidence to the contrary suggests he had become more merchant than explorer and may have returned to France twice, marrying there and buying property. His death at the hands of the Huron in 1632/33 would imply a less friendly relationship than the records describe. There is no dispute, however, about his travels. 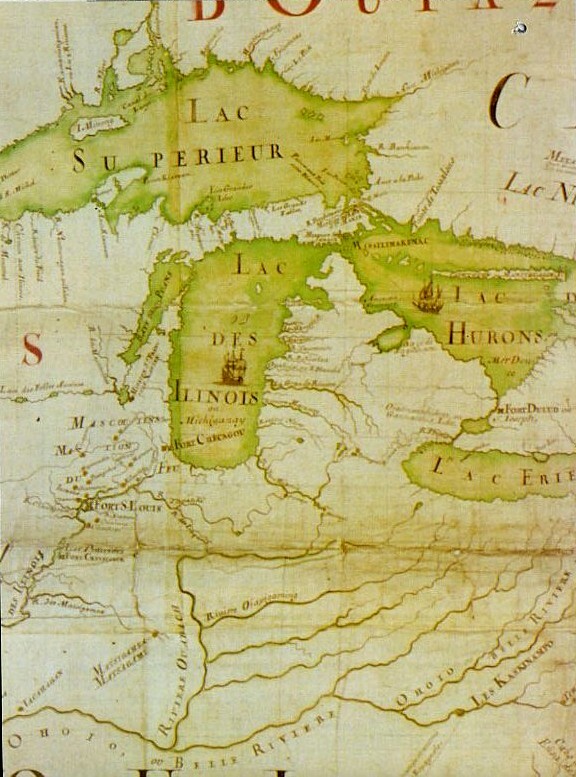 Part of his original orders from Champlain, when sent to live with the Huron, was to “see the great lake, take note of the rivers…” always with an eye to trade. The romantic picture—that he paddled a canoe through first one of the Great Lakes and then another—is very unlikely. Brûlé most certainly followed the rivers, the Native American super highways. 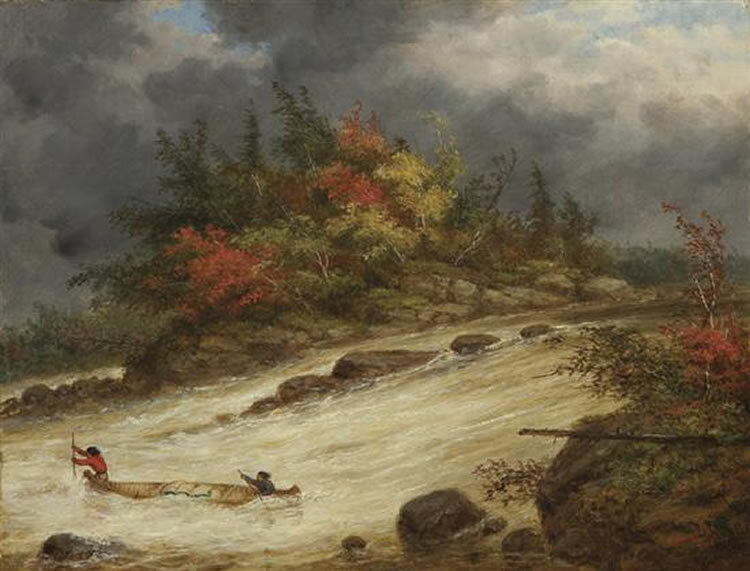 He traveled up the Ottawa River, portaged to Lake Nippissing, to the French River to Georgian Bay, skirting above Mantoulin Island to reach Sault St. Marie. There is some evidence he may have skirted Lake Superior as far as Duluth, but that is uncertain. He It is unlikely that he laid eyes on Lake Michigan, but that he reached the other four lakes before 1621 is without question. He passed through Niagara on his way to the headwaters of the Susquehanna. He may have seen Sandusky Bay, another site of a later French fort. I’ve always believed that storytelling resides at the intersection of the great movements of history and the micro-history of individuals and locales. My interest in Brûlé is personal. My mother’s maiden name was Brûlé, or rather the Anglicized version, Bruley, and her father was born in Canada, but lived most of his life in Detroit. My large, very social extended family has always clung to the belief that we are descended from Brûlé. His story has been passed from hand to hand, reenacted, and told around many a campfire at family reunions. Alas, there do not appear to be any records that he left children, at least any French children. I’ve been able to document that we are descended from Antoine Brûlé dit Francoeur of Amiens who arrived with the Carignan-Salières regiment in 1664. A relative? Perhaps. His story is also interesting, but not nearly as exciting as that of Étienne Brûlé. Perhaps I’ll save it for another day. If I’ve learned nothing else from my family, it is that we never let the facts get in the way of a good story. Perhaps that’s why I write fiction. My next release, The Renegade Wife, is set two hundred years later than Brûlé in Upper Canada, along the watershed of the Rideau River and Canal. He would have known the river. I like to think my mother would approve. I love it when genealogy and history intersect, even if the story got a bit muddled over the years. Etienne Brule sounds like a hero from one of your novels, Carolyn. Loved that peek into your family history. I’m going with the Etienne connection! It makes for great reading!! Hi Caroline, that was a great piece, interesting stuff. I’m going to pick up one of your books. Looking forward to reading it. I lived in Montreal for several years — not all that far from where your story takes place. Thanks Barbara. I love the research!